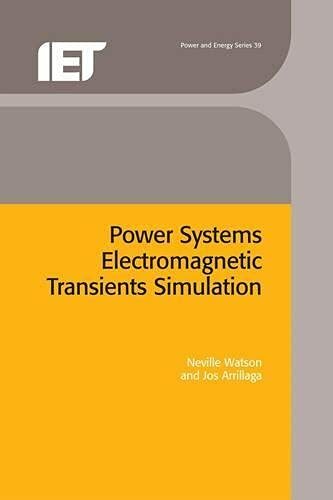 [PDF] Power Systems Electromagnetic Transients Simulation | Free eBooks Download - EBOOKEE! Posted on 2017-12-26, by luongquocchinh. Description: Accurate knowledge of electromagnetic power system transients is crucial to the operation of an economic, efficient and environmentally friendly power systems network without compromising on the reliability and quality of Electrical Power Supply. Electromagnetic transients simulation (EMTS) has become a universal tool for the analysis of power system electromagnetic transients in the range of nanoseconds to seconds. This book provides a thorough review of EMTS and many simple examples are included to clarify difficult concepts. This book will be of particular value to advanced engineering students and practising power systems engineers. No comments for "[PDF] Power Systems Electromagnetic Transients Simulation".